City attorneys advise a municipal government’s leadership on legal matters that may impact the city. They must be well-versed in state law governing the creation and operation of municipal governments. Additionally, city attorneys must know the law related to human resources, open meetings, open records, contracts, taxes, and criminal records. Depending on the city’s form of government, the city attorney may report to the mayor, city council, or the city manager. A city attorney functions as the city’s legal counsel in a manner similar to how any other attorney would counsel his or her clients. Larger cities have legal departments that a city attorney directs. Smaller cities have one city attorney on staff or contract with a law firm specializing in municipal law. Some law firms do all their business representing governmental entities such as cities, counties, and school districts. When changes in city law are before a city council, the city attorney advises the council members on the legal issues surrounding the change. The city attorney’s advice may include opinions about whether the changes are good policy, but the most important pieces are whether the changes are permissible under state and federal law and whether the city is exposing itself to legal risk by making the changes. Government attorneys typically make less money than private sector attorneys. A city attorney’s salary is highly correlated to the size of the city. When interviewing for a city attorney position, look at the salaries of the current city manager, former city attorney, and city department heads to prepare yourself for salary negotiations. City attorneys must hold a doctorate degree in law and be licensed to practice law in the state where the city is located. Education: Getting a doctorate degree in law usually takes at least seven years of full-time study: four years of undergraduate study followed by three years of law school. Undergraduate coursework often includes English, public speaking, government, history, economics, and math. Most states require lawyers to complete a Juris Doctor degree from a law school that's accredited by the American Bar Association. Licensing: Attorneys must take and pass licensing exams called bar exams for the states in which they want to work. Other requirements vary by state and jurisdiction. Research skills: Since city attorneys must give advice on a wide range of legal topics they must be skilled in legal research. Communication skills: City attorneys must be able to clearly present and explain complex information verbally and in writing. Problem-solving skills: The city attorney will need to help resolve a number of issues that will impact the city. 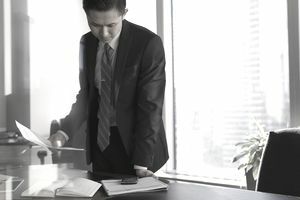 The U.S. Bureau of Labor Statistics projects that employment for all types of lawyers will grow 8 percent through 2026, which is slightly faster than the overall employment growth of 7 percent for all occupations in the country. CIty attorneys work in offices but usually need to travel for meetings, court, and other city matters. This can be a high-pressure job depending on what's happening in the city. According the the U.S. Bureau of Labor statistics, the majority of attorneys work full time and more than 40 hours per week. City attorneys are often required to work beyond regular business hours. The selection process for a city attorney largely depends on the city and where the city attorney position fits into the organization. When the city attorney is a full-time city employee, a city will often use an executive search firm to refine the list of applicants to a smaller list of finalists. The headhunting firm may also assist city leaders in the final selection. The selection process for a city attorney often consists of background checks, reference checks, and interviews. A city will conduct the background and reference checks before they contact candidates for interviews. When interviewing for a city attorney position, a finalist should prepare for questions about the role of a city attorney, how the candidate communicates with clients, and what experience the candidate has in dealing with municipal legal issues.